Select colors on sale as low as $16.25! This yarn is making up into a beautiful scarf for my goddaughter. The texture and feels is so soft and it lies so beautifully, that I must make one for me. This is the most beautiful lace mohair I've ever seen. It also knits up beautifully. I hope to use it again someday. I've only just received the yarn, and while hand winding it into a ball I was struck by its softness. Most mohair and mohair-silk yarns I've worked with are scratchy. This seems much less so. I look forward to knitting up a sweater!, and buying more of this yarn. Expensive, but worth the money. I usually mix mohair-silk yarns with a merino-silk yarn. 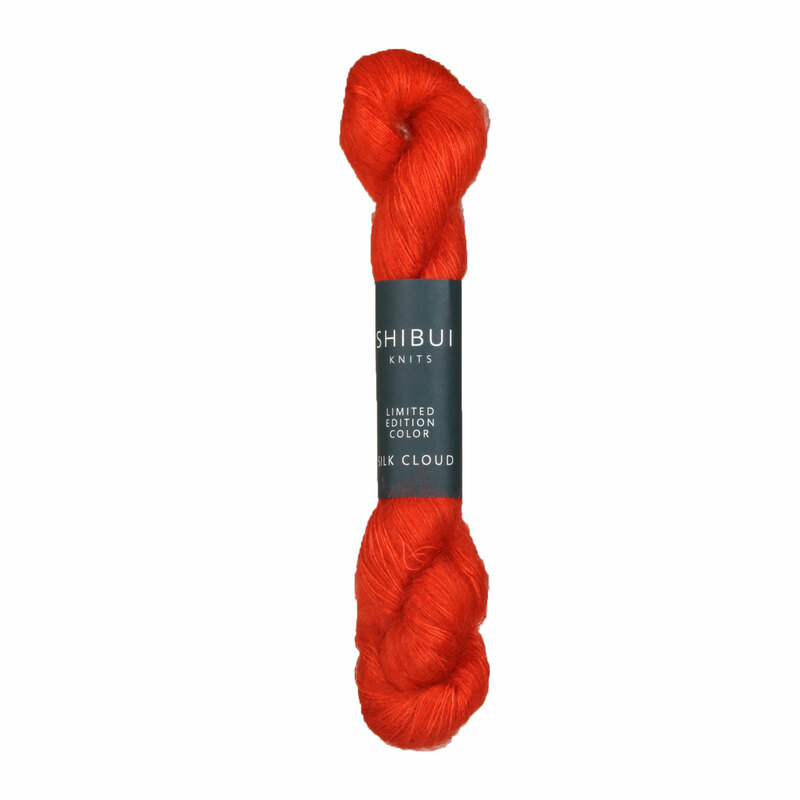 Someone else mentioned mixing Shibui Silk Cloud with Fyberspates - I agree. 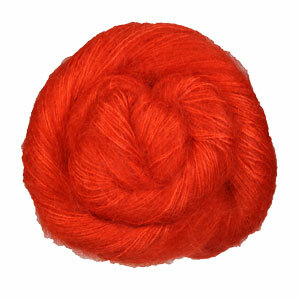 Fyberspates lace yarns are a great mix choice when wanting to use it with mohair. I love the orange and I will definitely buy other colors also. This yarn is simply remarkable. The first thing you notice is the beautiful color which literally glows. I purchased the Brass colorway - which is a good match for Rowan's Old Gold. Knitting with it is a dream.